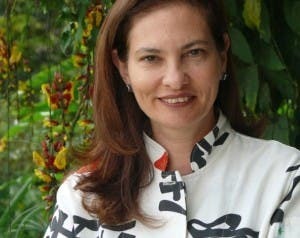 VENEZUELAN chef Maria Fernanda di Giacobbe has won the Basque Culinary World Prize for her work with cacao. Every year the Basque Culinary Centre gives the award to the chef ‘whose impact can be felt beyond the kitchen’. UK celebrity chef Heston Blumenthal was part of the judging panel. Of the 20 finalists, four were Spanish: Jose Andres, who supported local Haitian chefs after the devastating 2011 earthquake; Angel Leon, a two-star Michelin chef based in Cadiz; Carlos Zamora, a pioneer of sustainable cooking; and Nani More, the founder of the Association of Ecological Eaters of Catalunya (ACEC).